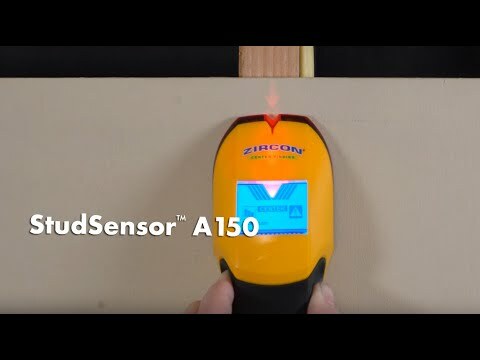 StudSensor ™ A150 can locate the edges and center of studs and joists. Equipped with a Signal Strength Indicator, the A150 helps determine whether the object detected is closer or further from the surface for more accurate mapping of the wall. The Low Battery Indicator alerts the user when the battery should be replaced. The SpotLite® Pointer, ultra-bright LCD screen, and audio tone indicate the location of the specified target.